Full Height Plantation Shutters, cover the full height of your window. 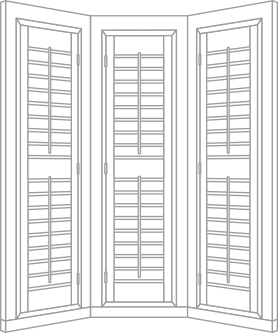 Full height plantation shutters are our best selling Shutters. With a full height Shutter, your window is completely covered, top to bottom. 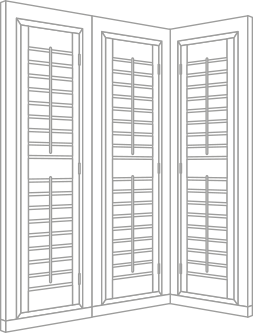 Tier on Tier Plantation Shutters, gives you independent top and bottom panels which can be opened individually. 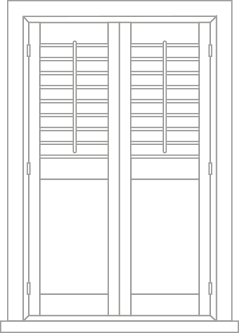 With tier on tier Plantation Shutters the shutter panels covering your window are split into a top tier and a bottom tier a great choice for sash windows and bay windows. 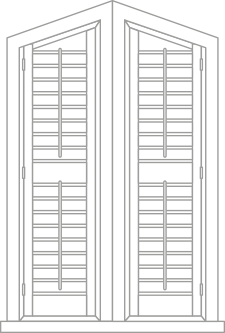 Café Style Plantation Shutters, are half height Shutters, which leave the top of your windows un-shuttered. 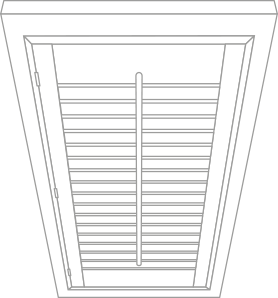 Usually this style of shutter stop in line with a natural break in the window at half or three quarter’s height. Creating a classic and chic feel letting lots of light in. 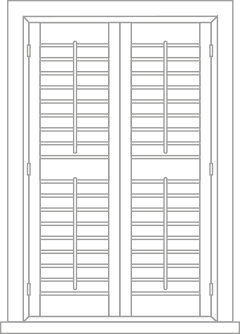 Special Shaped Plantation Shutters, These type of shutters are custom made special shapes that are designed to fit perfectly in any window. A perfect and beautiful solution for shaped windows and openings. Solid Style Plantation Shutters, These shutters have been used in the UK for over 200 years and provide a more traditional secure finish to window coverings. 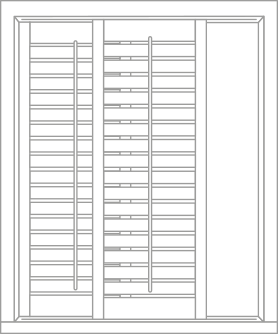 The added benefits to this type of Plantation Shutter is that they blackout light and reduce noise. Sliding Tracked Plantation Shutters, This option is for larger openings such as doors and very wide windows. As hinges will only carry a certain amount of weight. The shutters are placed on a track system which glides effortlessly from side to side.